The page gives subscribers a detailed tutorial on the Find toolbar. This page is an introduction to it. Click here to subscribe and visit the tutorial. The Find toolbar allows users to find text, images, and objects in a document. It opens at the bottom of each window. It can be accessed through the Edit menu and by pressing Ctrl F (Cmd F for Mac). Below are the items covered. Text field: This is where you type a word, phrase or string of characters that you want to find in your document. The arrow buttons, Find All, Match Case, and Find and Replace icon are used to perform the search. User interfaces for office applications have evolved over the past few decades. Microsoft has transitioned its popular office applications from drop-down menus to a ribbon user interface. The Document Foundation, on the other hand, has added to LibreOffice’s toolbars and menus over the years. 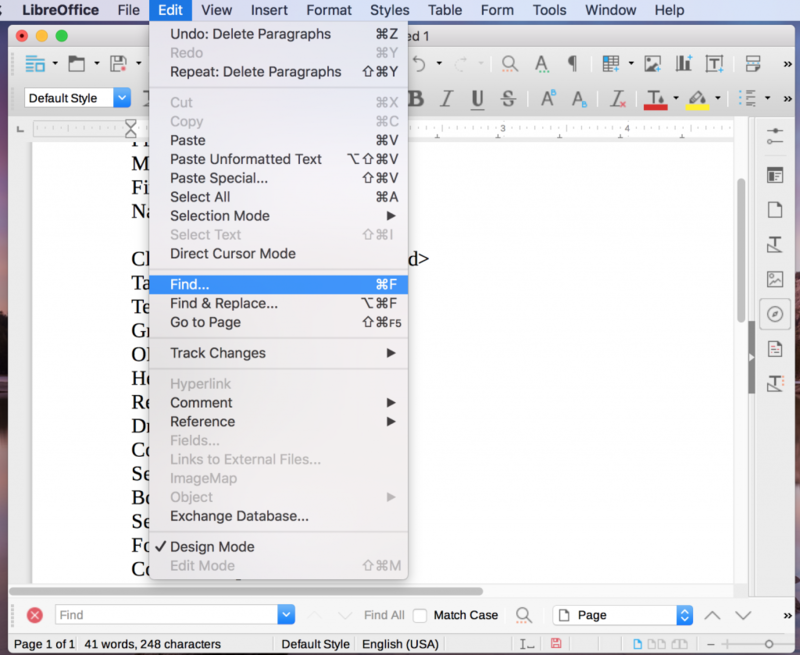 This article will compare the two word processors: Word 2016 and Writer.The Mac and Windows versions of Word will be discussed separately because there are differences in their menus and ribbons. LibreOffice has the same menus and toolbars, regardless of the operating system it is installed on. Therefore, it can be presented in one section. All three applications have similar user interfaces as the other applications in their suites. However, each word processor has unique menus and ribbons, so it is important to discuss each one individually.